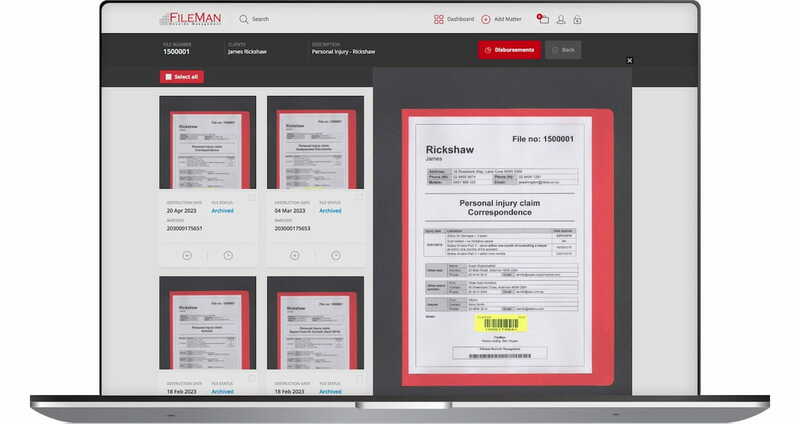 Fileman's Cloud-based file management tool enables lawyers to easily manage the storage and destruction of closed files. Lawyers can locate files in an instant or simply retrieve or insert documents to a file. Firms will no longer have the hassle of preparing files for storage or worrying about a file destruction program because Fileman takes care of it all. As part of the Fileman service, the catalogue is created for you and automatically linked to the Electronic Matter in LEAP. With LEAP and Fileman, you have online access to your file catalogue and retrieval history anywhere, anytime.